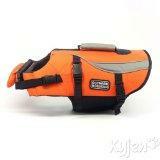 Life Vest Reviews – If you have a dog, wouldn’t you do everything you can to keep it safe? I guess you would and this review is actually about one of the finest products in the market today that can help you to achieve that. If you are the type of person that loves adventures on water with your dog, you must consider safety measures for yourself and your dog.